Original Q2Q Comics Artwork Now For Sale! 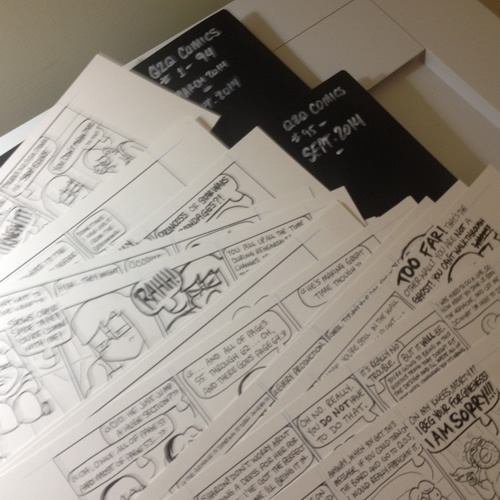 Interested in owning some original Q2Q Comics Art? I’ve decided to make the original art for almost every comic available for sale! They’re all hand drawn, hand lettered, initialed and dated by yours truly. Check out the price sheet for availability, then use the contact form to get in touch with me to purchase them! ← “This Is Not My Paint Shirt” now available for pre-order!